Just a quick note to let you know about a small, yet significant change we made this afternoon to our Starter Plan. Up until this afternoon, the Starter Plan, which is only $5 a month, still contained ads from our screened partners. 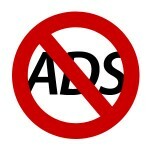 We are happy to announce that as of today, third party ads are no longer displaying on our Starter Plan sites. Only our Free Plans will be displaying ads from here forward. Thank you for being a part of the Digital PTO community and have a great weekend. Welcome to the Digital PTO News Center! We hope you will enjoy your time here. Your Mobile Site just got a Huge Upgrade! "Our PTA saved over $4000 the first year in weekly newsletter printing costs alone!"